and also for linking this week to Tuesdays at Our Home link party. First, to make all the pillows for the giveaway, also I have been updating the items in my Etsy shop. You can view them here if you are interested. And now I am working on another remodel. This time is our home library. I will share with you all when I am done. 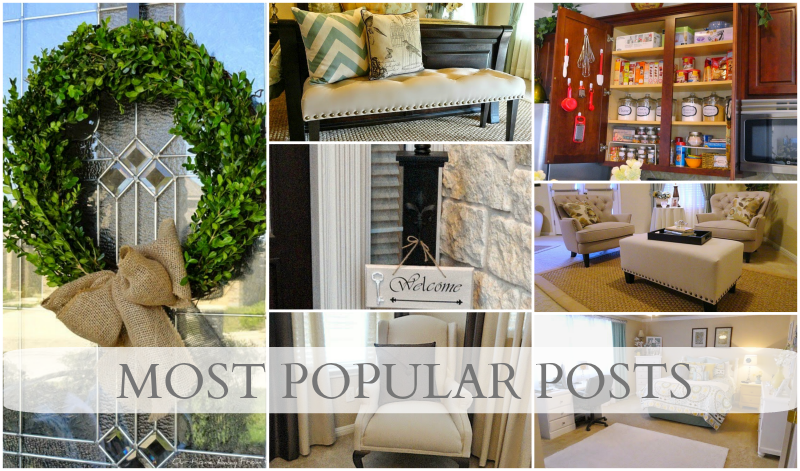 Just yesterday I realized some of the post I added to the blog this year have been quite popular. It is really shocking when you see that a post had over fifty thousand views. Today I would like to show my appreciation by hosting a small Fall giveaway. Mine was busy, but very nice. 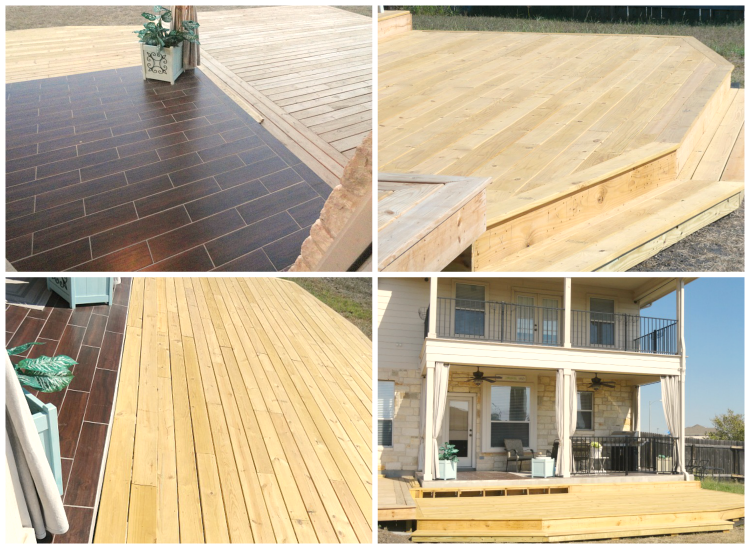 Taking advantage of the wonderful weather we are having, Saturday we continued working on the deck. This is four months of work! On Sunday, my daughter and I did a crazy thing, we went to Ikea. 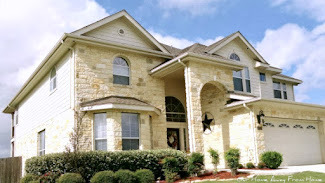 in a town called Round Rock. Oh, yes we did! :) Drove two hundred miles to go shopping. Before we start the party, I would like to give you a glimpse of some of the beautiful links from last week. 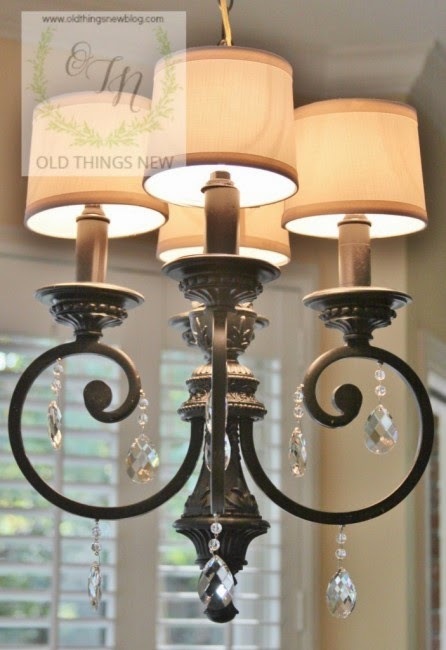 Patti at Old Things New found a chandelier at the Habitat Center and you just have to go see what she did with it. 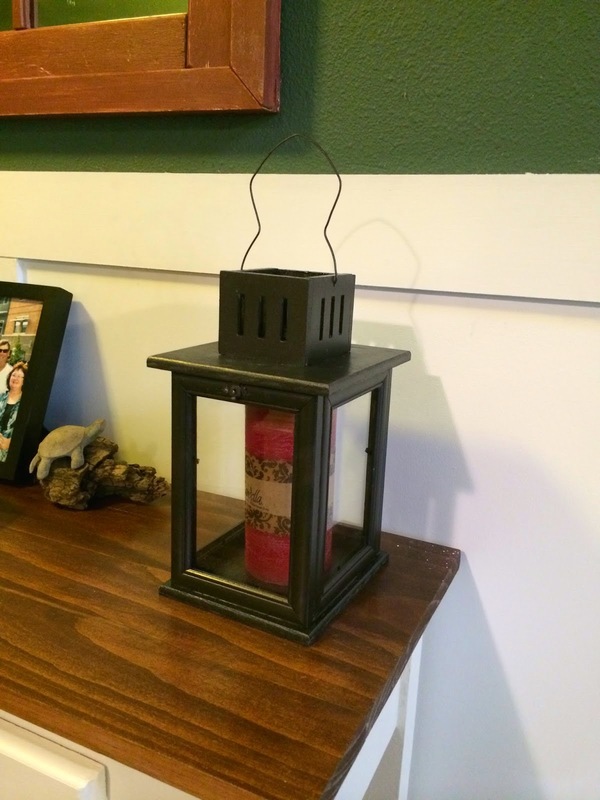 Lindy at Itsy Bitsy Paper turned an old ladder into a beautiful piece for her porch using American Decor chalk paint. Love the color! Dana st The Starfish Studio shared her beautifully painted mason jars and a tutorial on how you can paint your own. Babs at Upstairs Downstairs decorated her outdoor space for Fall. Just beautiful! Christine at Little Brags shared many beautiful ideas and inspiration on how to personalized your home. 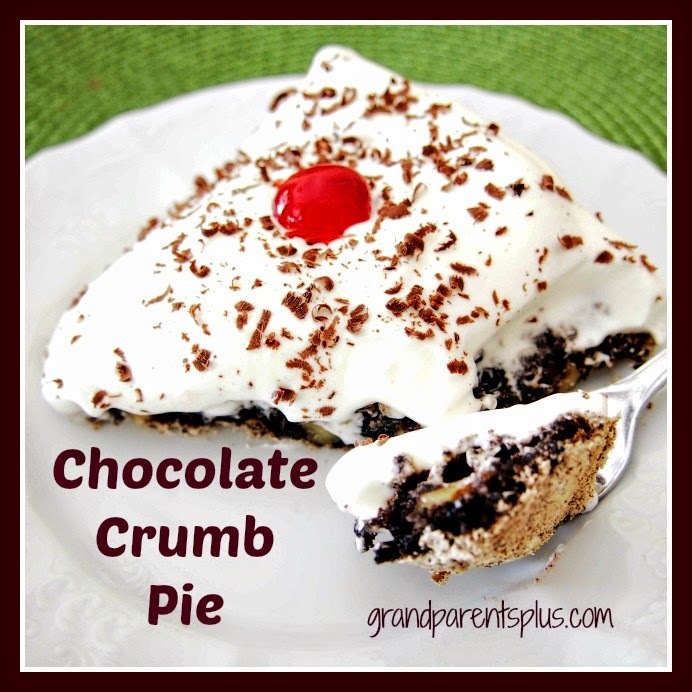 Phyllis at Grandparents Plus shared a recipe for Chocolate Crumb Cake. It looks amazing! 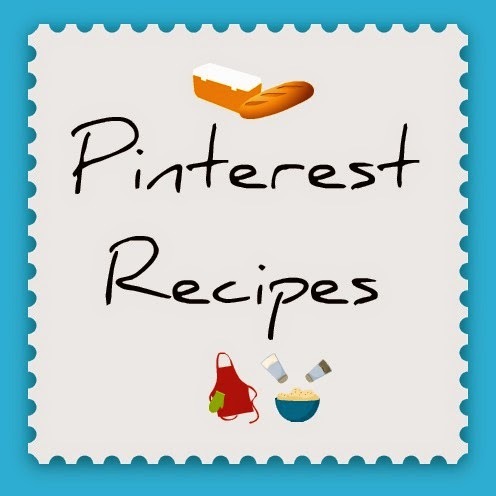 You all know I don't normally share food recipes on my blog, but lately I have been "playing" on Pinterest quite a bit and have come across some wonderful and very tasty recipes that I just had to share. Welcome to Tuesdays at Our Home. for the entrance of the library where she works. 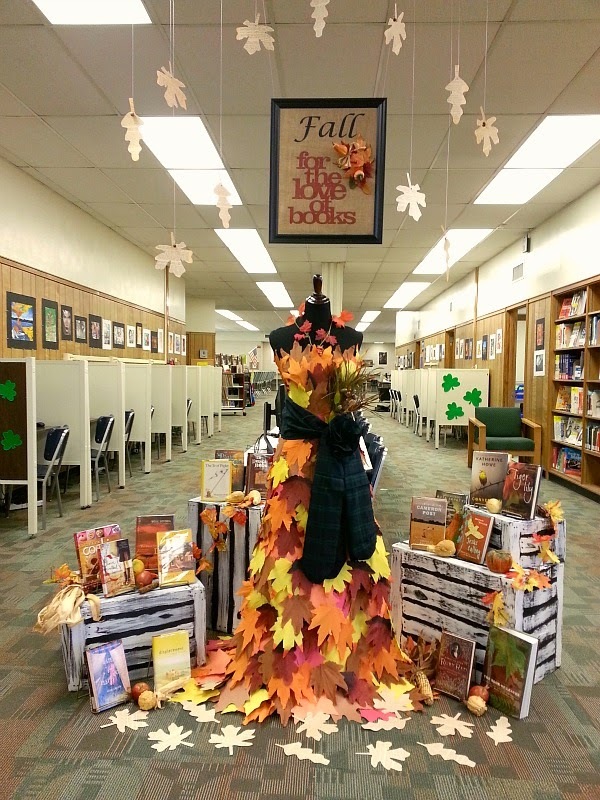 She started with a dress form which she decorated using leaves from Dollar Tree. using a technique she watched on a video. Aren't they awesome? They look just like wood crates! The sign over the display I made for her. 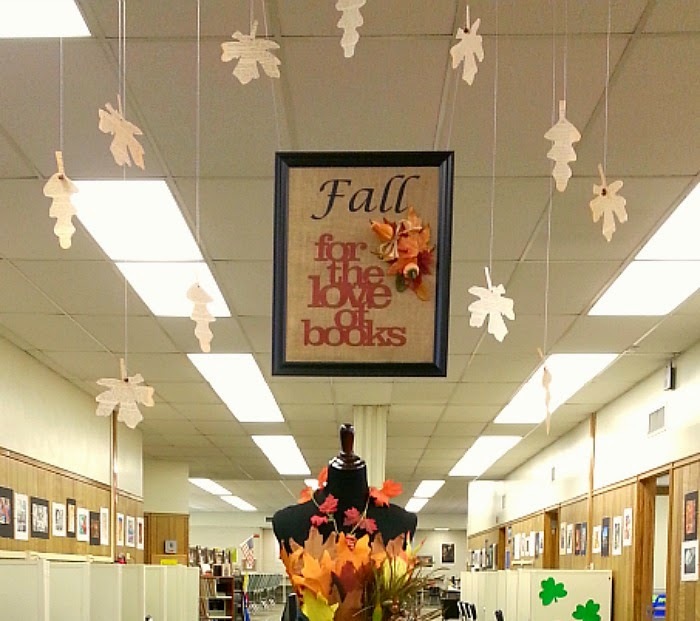 and added a few Fall leaves to it. Here are the links to where she got her inspiration from in case you are interested. Last week we had another wonderful party. Lets take a look at some of the links. 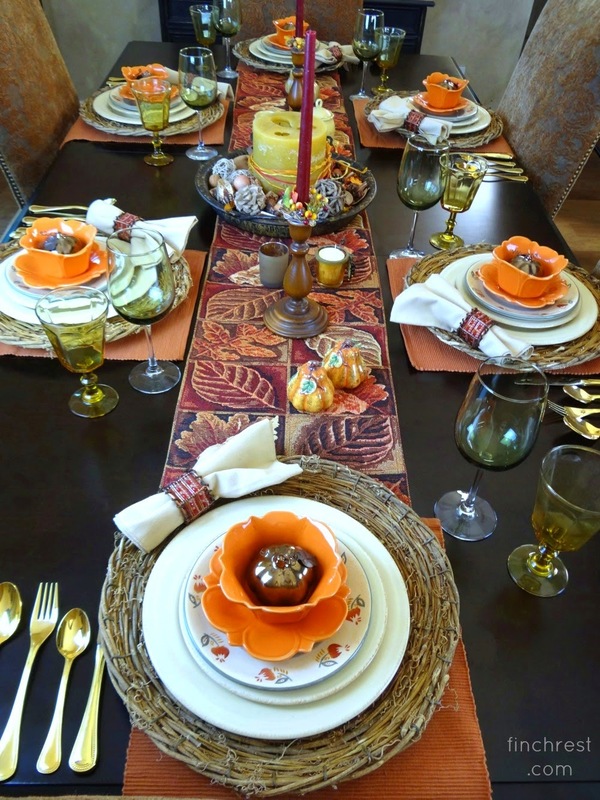 Michele at The Nest at Finch Rest created a beautiful fall tablescape. 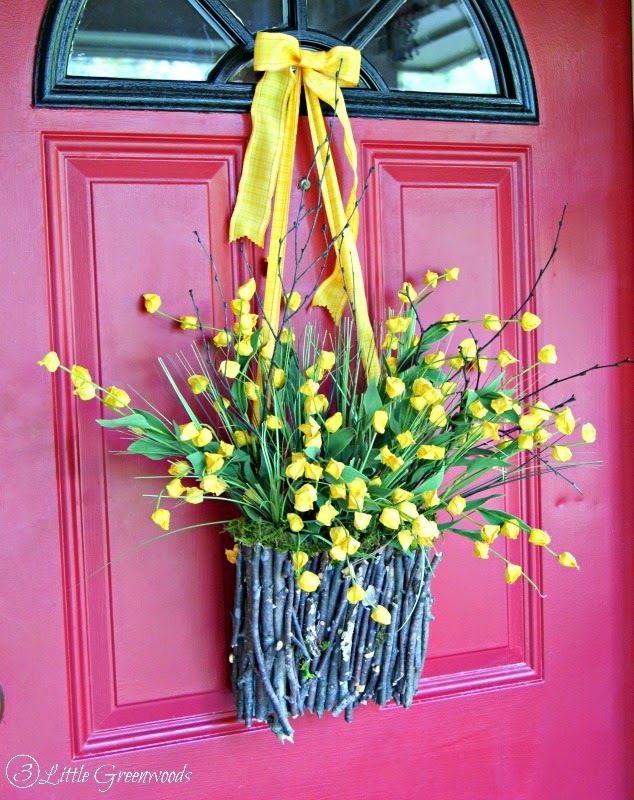 Ashley at 3 Little Greenwoods made a beautiful branch basket for her front door. 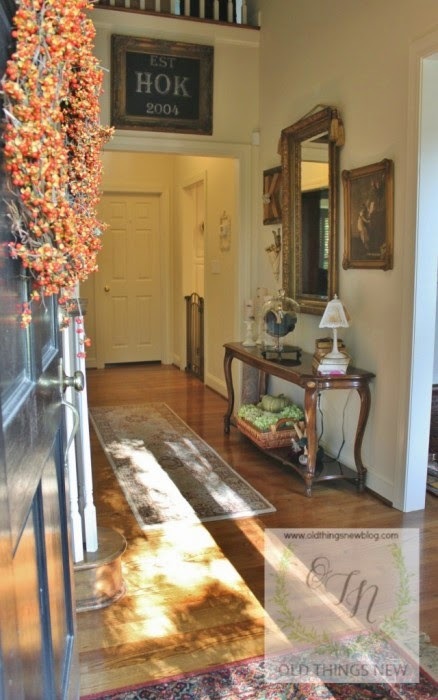 Patty at Old Things New shared the gorgeous entry hall of her new home. 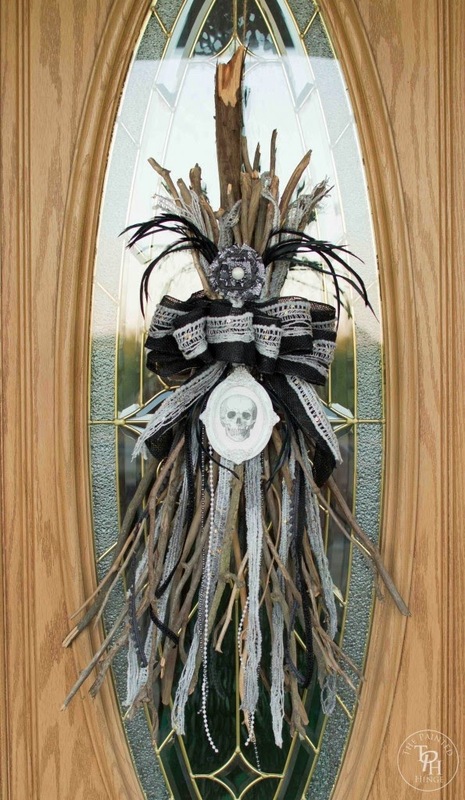 Michelle at The Painted Hinge shared a tutorial on how to make a Halloween broomstick swag. April at Wilker Do's built herself some beautiful hanging lanterns. They look store bought! 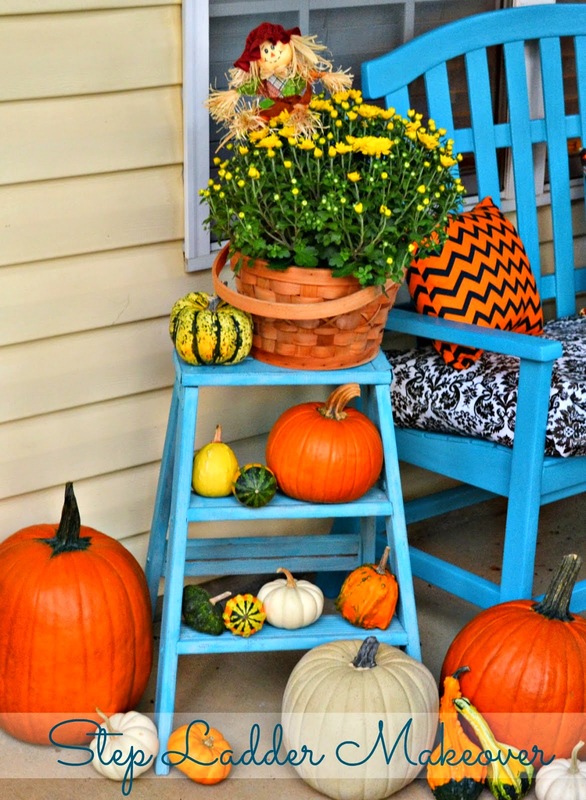 I have to say this year I have kept my Fall decor to a minimum. the new season, like I like to do. 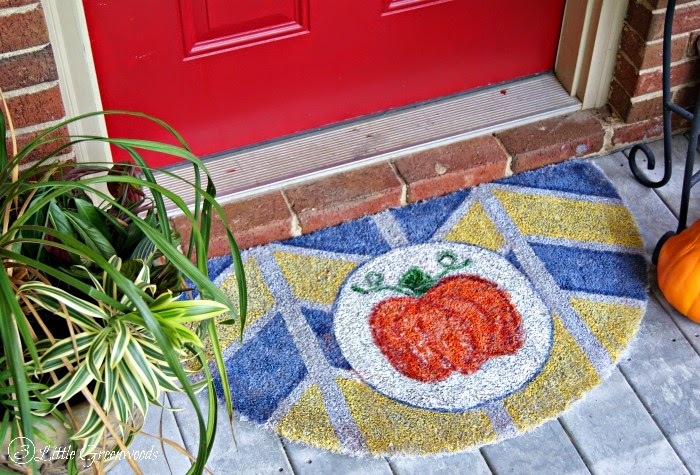 but it is just enough to make the house feel more inviting and enjoy the Fall months. 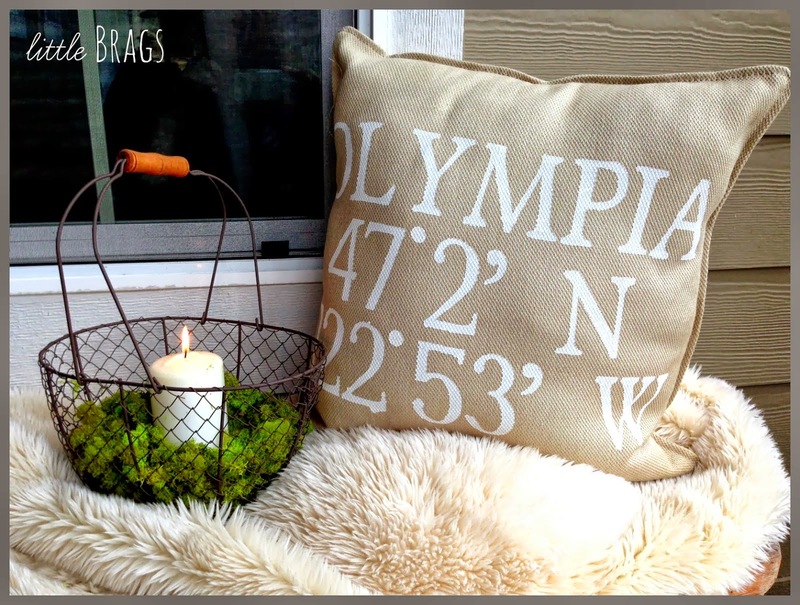 Today I am sharing with you another drop cloth project. all through out our home for different projects. 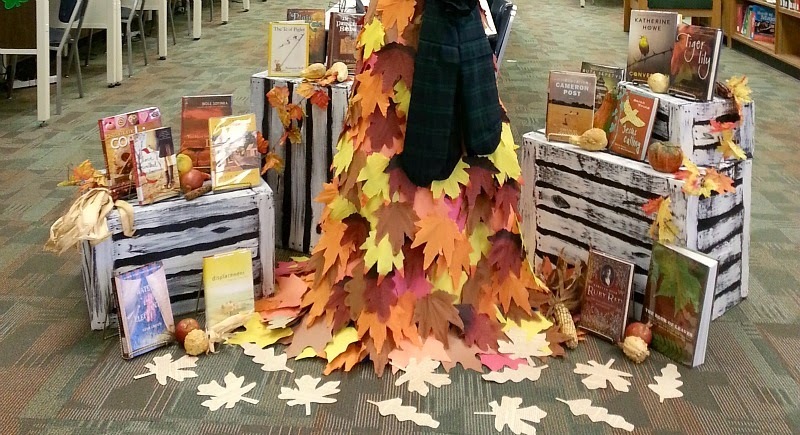 Speaking of Fall, last week we had another wonderful party full of inspiration, projects and recipes. 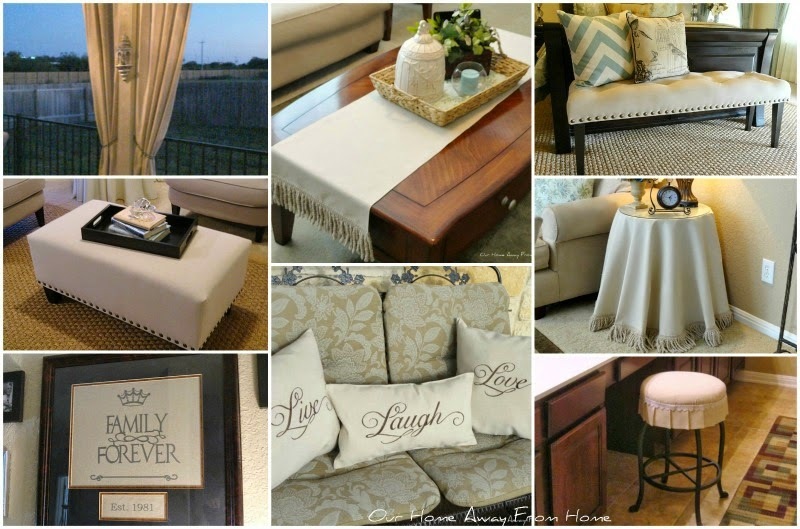 The most viewed post was Lisa's at Texas Decor. 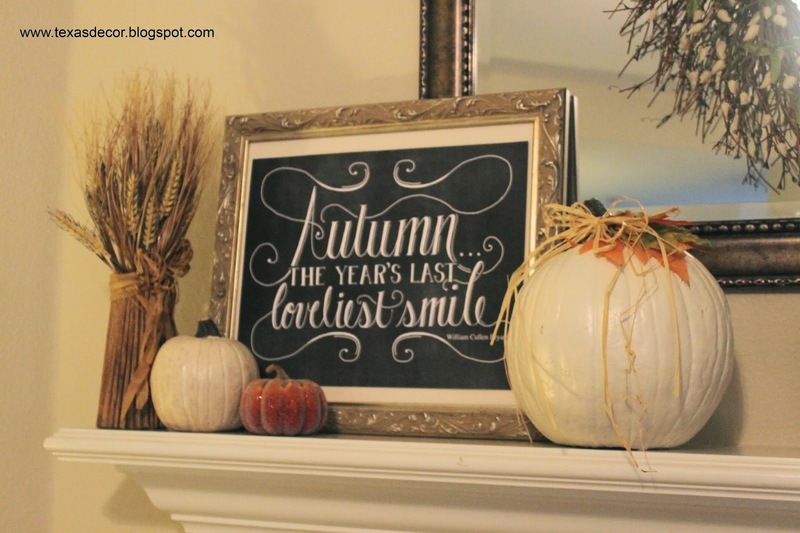 She shared with us a beautiful Fall tour of her home. Fabby at Fabby's Living created another gorgeous tablescape. I love the dishes! 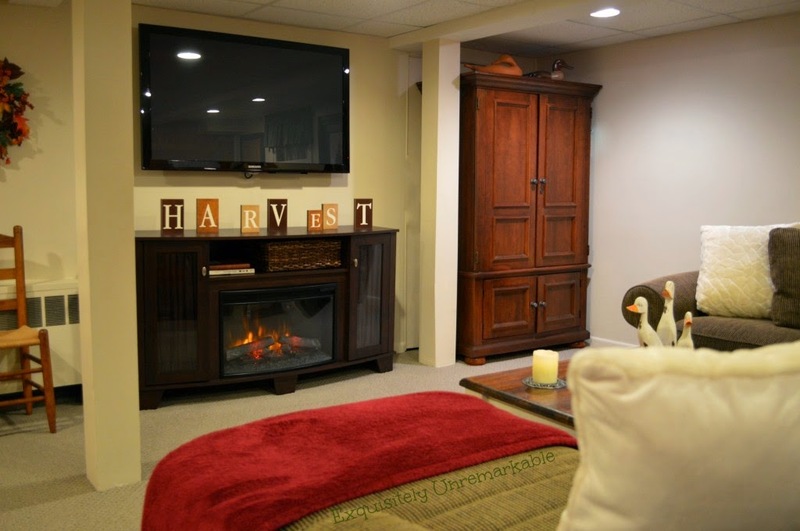 Kim at Exquisitely Unremarkable shared how she updated her basement. Love, love this space! Shelia at Note Songs gave us a tour of her newly remodeled kitchen in her new home. Laurel at The North End Loft shared her beautifully decorated living room for Fall. 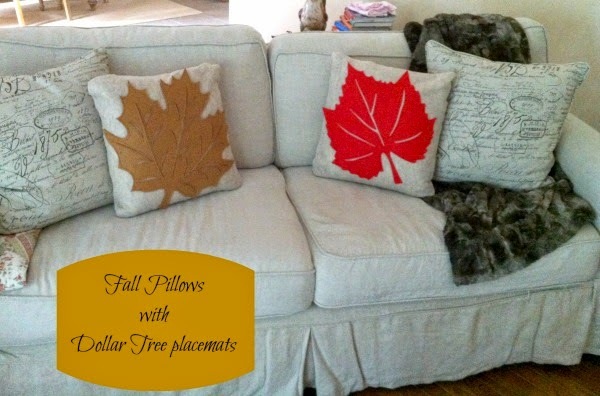 Cynthia at Feeding Big made some very pretty and original Fall pillow covers using placemats from Dollar Tree. I have been taking it easy this week and spending lots of time at home. 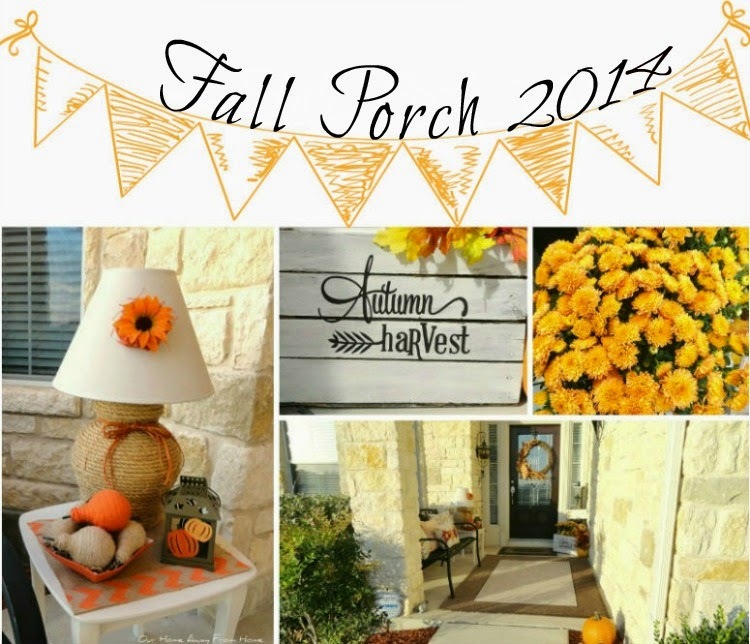 I have used this time to finish the bit of Fall decor I wanted to do on the front porch. the outside of our home all through out the year. Last week was another great inspirational party. The Fall decor, recipes and DIY projects were amazing! 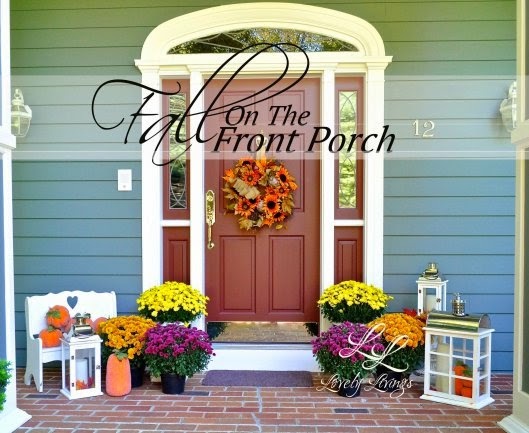 LuAnn at Lovely Livings shared her front porch beautifully decorated for Fall. 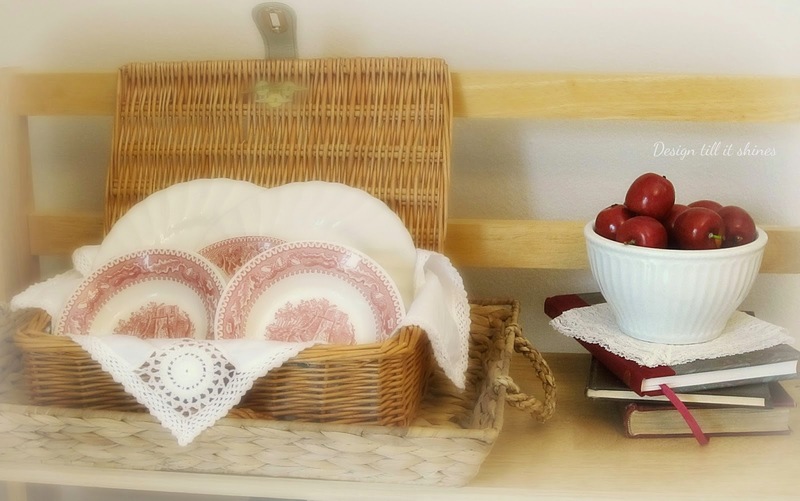 Kim at Exquisitely Unremarkable created a wonderful craft area in her home. 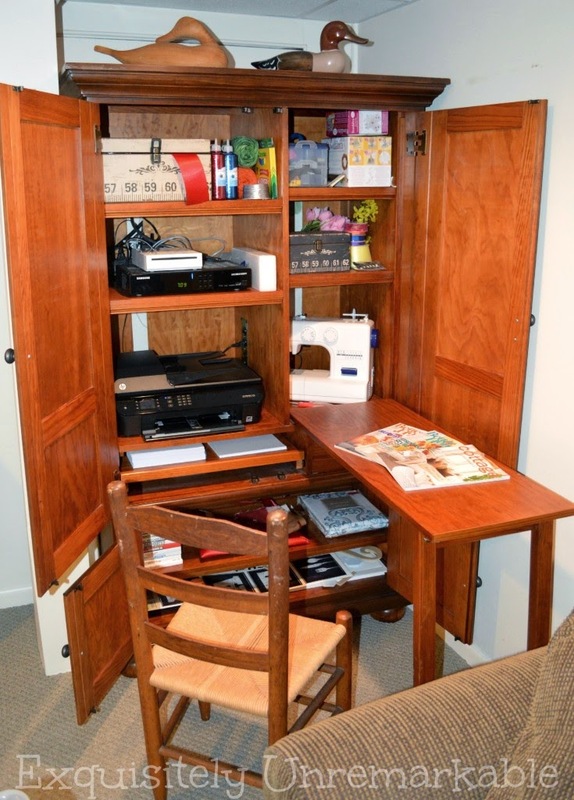 Love the armoire! Sherry at Thrift My House shared with us her gorgeous mantle and her beautiful Fall decor. 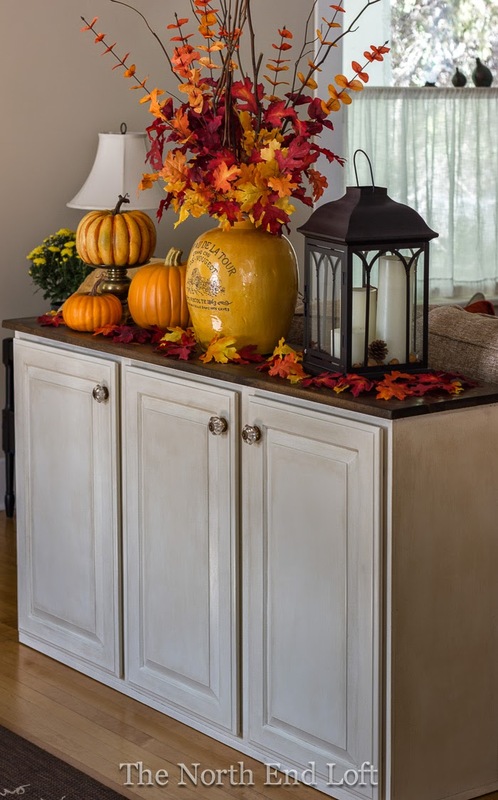 Jody at Southern Seazons amazed us with her gorgeous Fall dinning room decor. 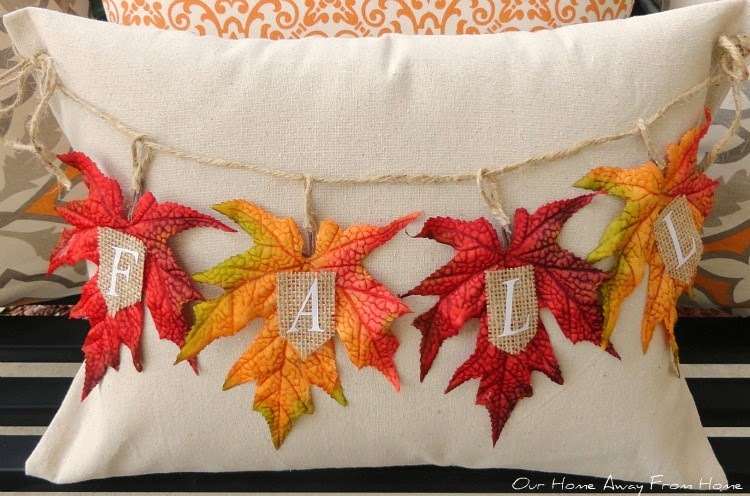 Fall piece for her front door. 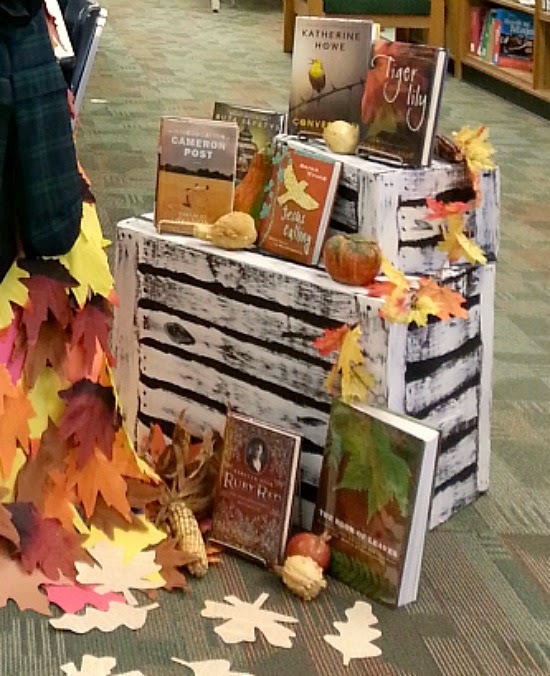 Diane at Design till it Shines shared one of the beautiful vignettes she created for the Fall season. Are you ready for the weekend? Personally, I am looking forward to it. This weekend, my husband and I will be celebrating our 33rd Wedding Anniversary. But before the week ends, I want to share with you another small Fall accent pillow I made last month. 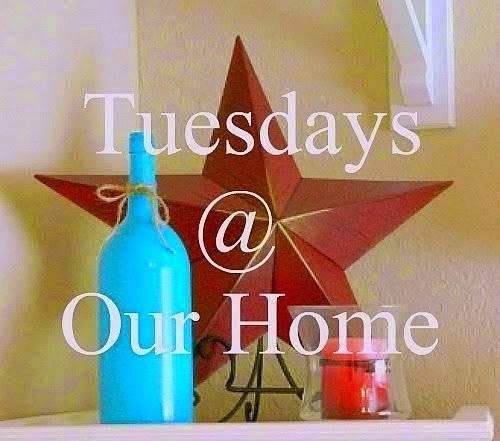 Let me start this post by saying thank you to everyone that linked this week to Tuesdays at Our Home. Today, I am sharing the changes I have made to our guest bathroom. I got a little tired of the darker colors and went a lighter this time around.